Today Mexico took a giant step forward, to the front lines of the fight against climate change. The Mexican House of Representatives passed a climate law, which – when approved by the Mexican Senate – will be only the second such law in the world. Mexico's climate law puts it in an elite global club, with the UK and its Climate Change Act as the only other members. WWF applauds Mexico for its leadership. A climate law may not sound very inspiring, but Mexico's is special. 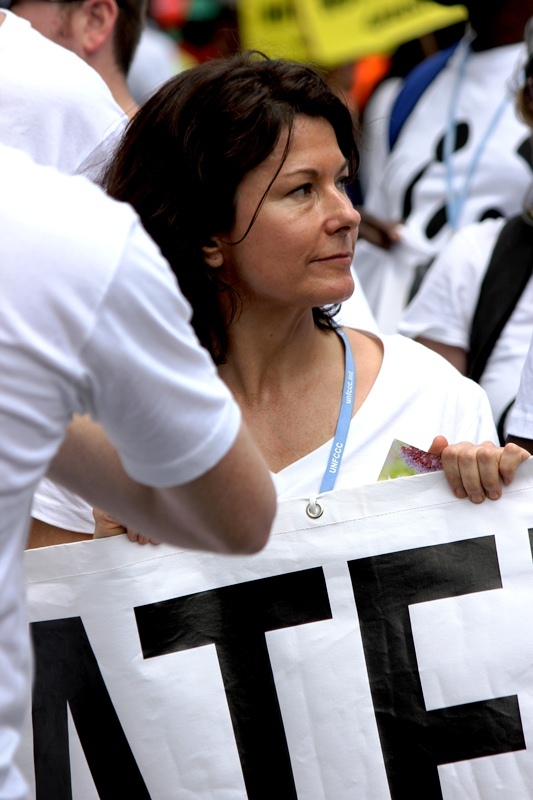 It requires the whole country to get on track for a cleaner, greener future, one with 50% less carbon by 2050. When it becomes law, the government will make rules to phase out fossil fuel subsidies; make renewable power fully competitive with oil, gas and coal; cut dirty carbon emissions 30% by 2020 with international support; and ensure that 35% of Mexico's electricity will come from clean sources by 2024. And all of this will happen with a strong focus on equity, conserving Mexico's environment, and making sure there's full and broad citizen participation. Right now, the country is the world's 11th biggest emitter and also its 11th biggest economy. By 2050, though, it's projected to be the fifth largest economy in the world. If it continues with this path, it is set to be one of the greenest. In a world with nine billion people in 2050, "renewable" and "sustainable" will be essential, not just for nature but for basic access to food, water and energy. What makes this even more remarkable is that Mexico is not really a rich country. By the government's own count, some 40% of the population lives in poverty. Yet its government and Congress see that ending poverty and growing the economy will be that much harder unless they, we, all of us do something about climate change. If Mexico is doing this, WWF just has to ask why its North American neighbours – the US and Canada – can't do the same. The US is the world's 2nd biggest emitter and Canada is the 7th. By any definition they are prosperous countries. Yet Canada's federal government in particular has turned its back on the Kyoto Protocol, is promoting high carbon, high impacts tar sands, and is ignoring its national wealth of renewable energy. And the US still lacks anything close to a climate law, a national law on renewable energy, or even a federal law that limits emissions. The Mexican climate law has just one more review, in the Mexican Senate, before it becomes law. In WWF, we're crossing our fingers, and getting ready to celebrate Mexico for providing all of us with inspiration and leadership. US and Canada – when will we be able to say the same about you? Video: Vanessa Perez-Cirera, WWF-Mexico Climate Program Director on the new climate law passed by the Mexican House of Representatives. 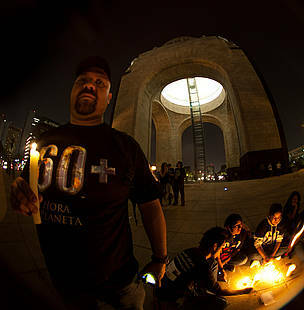 Mexicans show support for action on climate change during Earth Hour 2011.